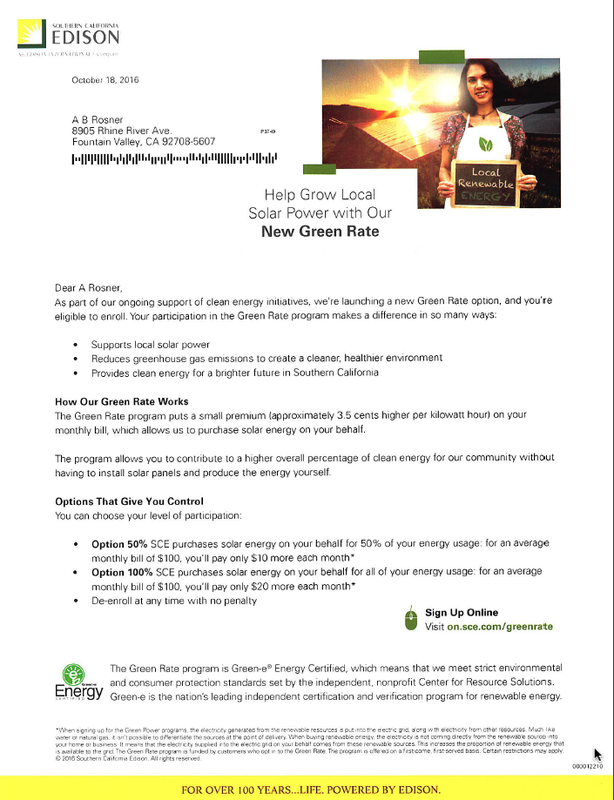 SCE Promoting Fraudulent Climate Change = Mail Fraud? Associated with the Clinton Foundation? | Scanned Retina – A Resource for the People! ← Washington D.C. is a foreign controlled corporation unlawfully posing as the government of the American people. Most Intelligent Americans recognize the fraud behind the GREEN Movement.